After you have chosen a world for your character, it is time to create said character. 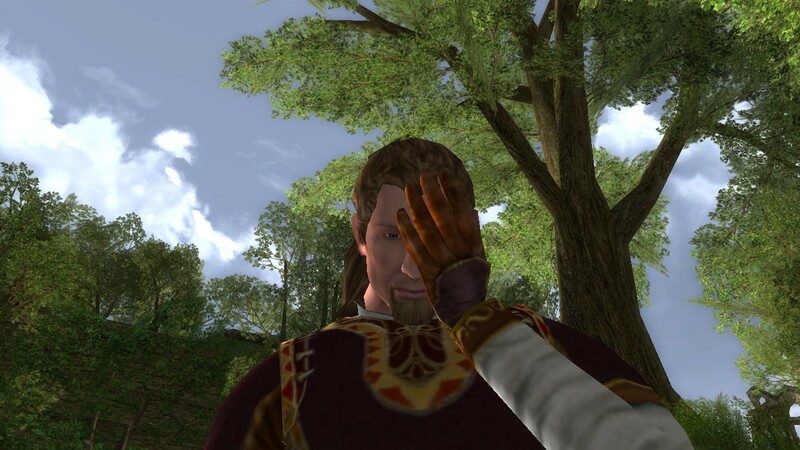 One thing that sets Lotro apart from other MMOs is its vast, lore-accurate, character customization system. When you first log into your server to create your own character, the screen will look something like this. To the left of the screen is your initial customization bar. This is where you select your character’s race, class and gender (if applicable). Before we get into the customization itself, let’s just go over the basic layout of the screen. Other than the customization bars to the left, there are also interactive features on the bottom and right side of your screen. On the bottom, there is a control center where you can control the camera’s view of your character, zooming in and out as you wish. The arrows also rotate your character. The two buttons to either side of the camera controls are for exiting or advancing in the character creation. Clicking Exit Character Creation will send you back to the library of all of your created characters. Clicking Continue will send you into the appearance section of Character Creation. To the right of your screen, there are two boxes with extra information about the race and class that you are choosing. With each race, there are either four or five characteristics that your character naturally obtains. By hovering over the icons, the statistics for each of those characteristics will be displayed in a pop-up box. In the lower right-hand box, the specifications for the class you have chosen will be detailed. You may wish to browse through the lore of your class if you so desire. In each of the right hand boxes, there are buttons that say “play movie”. Clicking those will launch a narrated short that describes either the race or class chosen. Hitting Exit Movie or Esc will send you back to the character customization screen. In Lotro, there are four playable races, excluding monster races. They are Man, Dwarf, Hobbit, Elf. Anyone familiar with the works of Tolkein will be familiar with these races, as they are the main races in the Lord of the Rings books and movies (as well as The Hobbit, The Silmarillion, and other Tolkein literature). The Race of Man – The youngest of all of the races in Middle-Earth. The Race of Man is the most generic of all of the races, and has the most classes available to it. Burglar, Captain, Champion, Guardian, Hunter, Loremaster, Minstrel, Warden. Dwarves – One of the oldest Races in Middle-Earth, these Miners have constructed some of the greatest monuments in all of the realm. The Dwarves only have a male option available, and there is only one female dwarf ever mentioned in all of Tolkein’s literature. Hobbits – The Shire-dwelling folk of Middle-Earth, the hobbits live in relative peace and comfort, although war is threatening their borders. 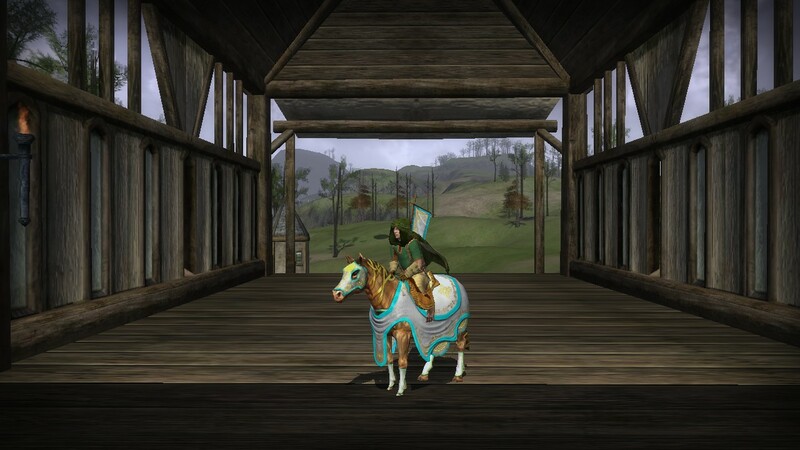 Hobbits, along with dwarves are the only race that rides ponies instead of full-grown horses. Elves – The oldest race in Middle-Earth, elves are very graceful and wise. Elves are the least known race, and are considered alien to some, especially Hobbits. That’s it for this post. Basic Class guides should be coming soon as well as appearance guides. I would like to give a huge thank you to Branick from Lotro Academy for linking MiddleEarthInitiative on their main site. 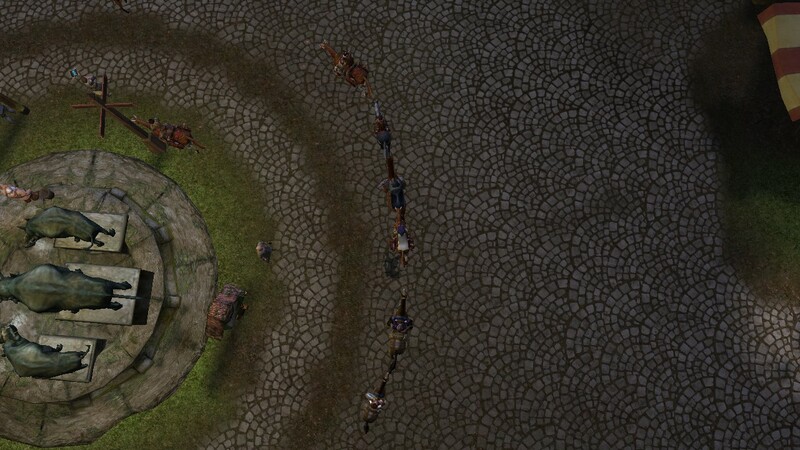 Unless you are new to Lotro, or have been living under a rock, you are probably wondering what Lotro Academy is. Lotro Academy is a Lotro podcast that gives helpful information to new and veteran players alike. I would recommend downloading some of their older podcasts, as they address topics more focused towards beginner players in those episodes. The second action I would take would be to subscribe to their podcast, and bookmark their homepage. Lotro Academy is hosted by two amazing hosts, Branick and Mysteri, and they help give life to their podcasts. check out the link to MiddleEarthInitiative link in the lower left of the site. Give them lots of love and tell them MiddleEarthInitiative sent you. Last Day For Fifth Anniversary Festival: What To Do, And How Not To Screw Up (Like Me)! One Day Left In The Fifth Anniversary Festival! There is one day left in the fifth anniversary festival, and that means there are many things that are going to be leaving Middle Earth after tomorrow. Below is a guide on what is going, what is staying, and how to make the best of your last day with the Fifth Anniversary festival. The Anniversary tokens handed out during this year’s festival as quest rewards and envelope drops will remain in your wallet until the end of time. However, the Games Masters (Located in Thorins Hall, Bree, Celondim, Michel Delving, Festival Arena) will be disappearing, so you will not be able to barter those tokens for the cosmetics, maps, windmills and mysterious powders. Your tokens will carry over into next year’s anniversary festival, so do not feel obliged to spend them all this year. Throughout this festival, various tokens, ranging from tin to Calenard have been dropping off of mobs (monsters) and are going straight into your wallet. These tokens can be cashed in at various Keepers of Gifts (Located in Bree, Galtrev, Thorins Hall, Celondim, Tinnudir, Stangard, Ost Guruth, Caras Galadhon, Ost Galadh, Twenty-First Hall, Esteldin Forecourt, Michel Delving, Rivendell, Gramsfoot) for gift boxes that will give you random items. These vendors will be disappearing after the Festival is concluded, so you will not be able to cash in those tokens there. This does not mean your tokens will be useless. Tad Leafcutter, near the hunting lodge in Bree will be accepting these tokens in exchange for skirmish marks. The Anniversary Races that have been going on at the Bree Racetrack and the Shire Racetrack will not be available after the festival, and Will Peartree, the festival horse vendor will be leaving as well. Today is the last day to get either the Anniversary Steed or the Fireworks Laden Steed. One thing to note: If you are planning on purchasing both, purchase the Document of Mount Ownership for the Anniversary Steed first, as it will give you a discount on the Document of Mount Ownership required for the Fireworks Laden Steed. Do not make the same mistake I did, and purchase them the other way around. Also, the Race Quests are only repeatable every 24 hours, so if you have not acquired any Anniversary Race Tokens, you will probably not be able to acquire both steeds. 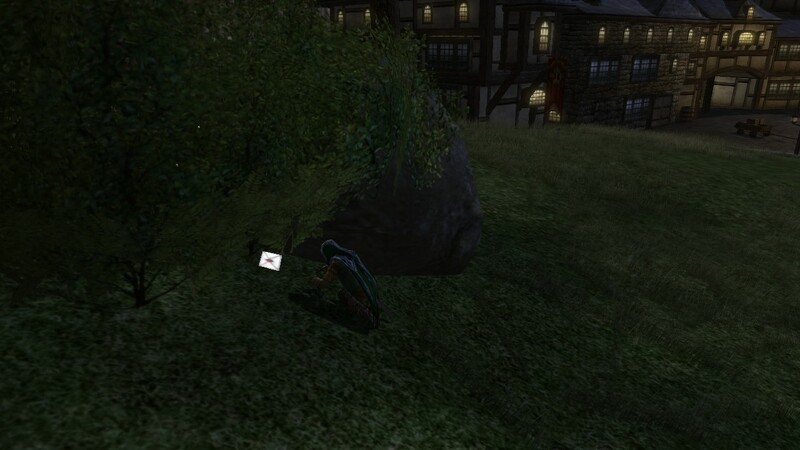 Possibly the most popular of all of the events this anniversary is the Envelope hunt in Bree. After the Festival, envelopes will be disappearing from Bree, and the quest will no longer be available. If you haven’t already heard of this quest, head to the links below to read more in depth about it. This will be the last day that you can repeat this quest, so try to get those steeds and emotes. So far, I have found only the Steed of the Dusk Watch. Good Luck! For the Festival, every player in Lotro received a special, unique firework that they could set of at any moment (out of combat, that is) and those fireworks are for keeps. They will continue to work even after the Festival has expired, but expect to be seeing less and less fireworks because…Fireworks Vendors are leaving! This is your last day to get that Master Blaster title, and your last day to stock up on those fireworks. Any fireworks that you purchase from those fireworks vendors will be usable as long as you have a lasting supply of them. This will not be the end of fireworks, however. The gift boxes purchasable from the Keepers of Gifts are randomly dropping fireworks recipes that can be used by different levels of scholars. As long as you have those piles of mysterious powder, you will be able to craft fireworks on your scholars and then trade, use or sell them. The Recipe is located below. 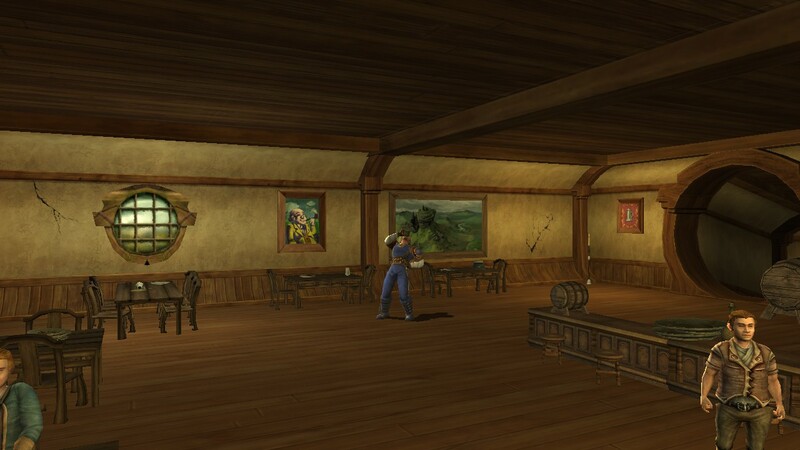 All of the other repeatable quests, such as the Bar-fights in Thorin’s festival arena are repeatable more than once per day, so if you heed to get any last-minute tokens, try repeatable quests such as the bar-fights and the Firework Launcher quest in Bree. There are a couple of deeds associated with this year’s festival. The top two are associated with the Bar-fights at Thorin’s festival arena. If you successfully complete 25 Bar-fights on the expert difficulty, you gain the title; “Battered, Bruised, and Contused”. This title is probably my favorite this whole festival. If you knock 200 opponents out of the way, you gain the title “Clubber”. The only other deed is a fireworks deed. If you set off 50 of each color firework, that is Purple, Yellow, Red, Green, Blue, Yellow, and Orange, you gain the title “Master Blaster”. At six silver per firework, this deed is a little pricey (2 gold and 100 silver), and I have not gotten the title yet, and do not recommend it. I loved the festival this year. From the free gifts to the somewhat grindey titles, this has by far been my favorite festival. I have done every quest, some with help from my friends, and have thoroughly enjoyed every one. The only quest I believe to be a little dull is the Fireworks locator quest. The Fireworks laden Steed and the Anniversary Steed are my two most-ridden horses. On my main character, I acquired the Steed of the Dusk Watch (Warden’s Steed) from the envelope quest, and on my Champion* I found the toast emote in my first ever envelope. I enjoyed the balance and smoothness of this years festival and look forward to Anniversary number 6. *The Champion(shown above) is the character that I created to be my middleearthinitiative guide character. Expect a character creation post, with in depth information on how I created my Champion, very soon. Did you enjoy the 5th Anniversary Festival? What was your favorite moment? Welcome to the MiddleEarthInitiative Blog! 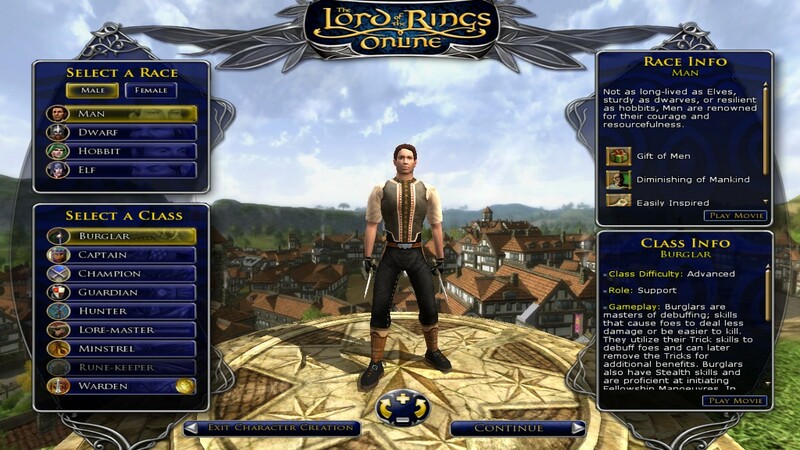 Hello Lord of the Rings fans everywhere, you are viewing the MiddleEarthInitiative, a new blog that is dedicated to helping new Lotro players get a foothold to begin their MMO career. Right off the bat, I want to warn you that this blog is mainly going to be geared towards new lotro players, but I will try to keep up to date with other content and news as well. What to Expect from MiddleEarthInitiative. First of all, I will try to cover all of the pre-game content, classes, races, character customization, etc. Then I will be moving through the levels chronologically, occasionally stopping to go more in depth with certain topics as they come up in the leveling process. The best way to contact me via email at middleearthinitiative@gmail.com. Also, leaving comments and feedback on the blog is a viable way to contact me as well. Feedback, and other such comments are always appreciated. Also, you can contact me in game on the Riddermark server. I am a fairly new player to Lotro, but I am confident in my ability to help even newer players get into the game, and level as I do. I have been playing Lotro for about a year, just missing the April 30th cutoff date for the 5th Anniversary. I mainly play on the Riddermark server as a Hobbit Burglar. My main, which is the Burglar, is named Aarto and is currently level 35. Before Aarto, I also leveled a Captain to level 25 before leaving him to the wayside and picking up with the Burglar. I am not a VIP player, and I only just purchased the Mithril Edition of Lotro, which upgraded my account to premium. I love playing the game for the content, the beautiful world, the vastness of the lore, and the overall quality of the game itself. 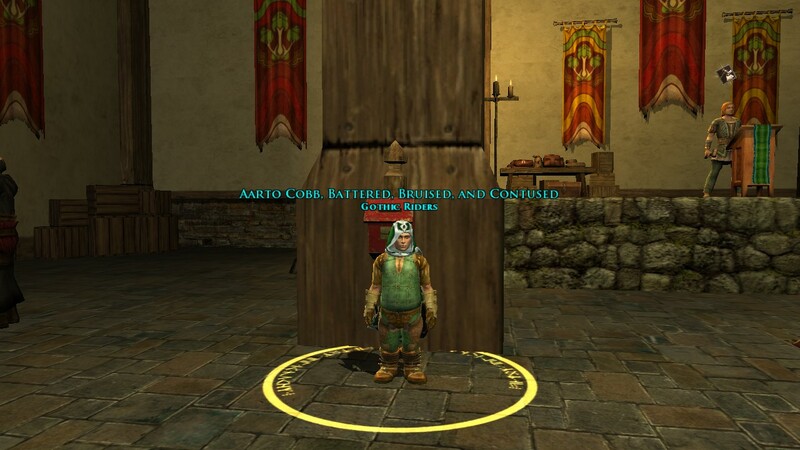 I myself am an altoholic and have characters on the Crickhollow, Landroval, and Arkenstone servers. My main advice to new players is to play the game the way you want to play, and don’t feel pressured to do things you don’t want to do. I hope you enjoy this new blog and am excited as I am to explore the vast world of Tolkien.